Blida is an Algerian city located about 45 km south-west of Algiers, the national capital. Its name is derived from the Arabic word" belda " which means city. It was even called the "prostitute", in the past; because it was charming and a place of pleasure. Blida covers an area of 482.8km2. Its population is estimated at 839,942 inhabitants. It is divided administratively into 25 municipalities. 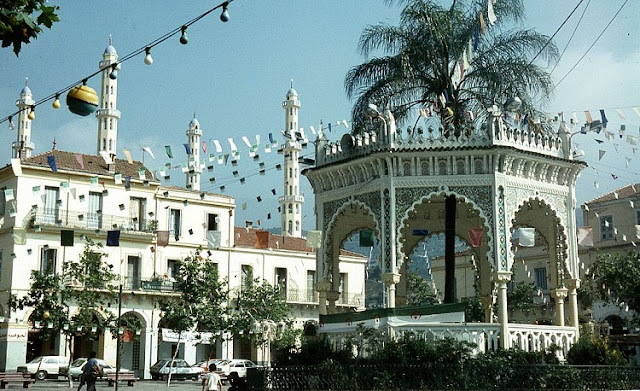 Historically speaking, Blida is one of Algerian cultural heritage. Its vestiges reflect the passage of several civilizations and the blending of several Roman, Byzantine, Islamic, Ottoman and French cultures. It was founded in the 16th century by an Andalusian immigrant Sidi Ahmed El Kebir (1474-1568), who merged with the local tribes to introduce the irrigation technique into the region, arboriculture and leather embroidery. After his death, many synagogues, mausoleums and necropolis bear his name. The prosperity came to this city with the Ottoman conquest; the city became a kind of privileged place of comfort, relax and recreation for the enriched and sovereign Turkish lords of Algiers. It was surrounded by a wall of considerable extent that was pierced by six gates. The city is full of the Turkish historical sites and monuments, such as the Ottoman mosques (El Hannafi El Turqui), (Ibn Saadoun Ben Baba Ali) which testify its cultural richness and its historical memory during the period of the Ottoman regency .Also, during the French colonialism, modern and magnificent streets with many arcades shaded by trees, buildings and several churches(the Cathedral of St Charles currently occupied by the great mosque El Kawthar), extensive barracks and a large military hospital were built there. Blida is surrounded with orchards and gardens, 190 meters above the sea, on the southern edge of the fertile Mitidja Plain, and the right bank of the Oued el kebir . The clean air and the very mild climate and the abundant water of this stream and numerous fountains provides irrigated gardens for orange and olive trees ,cork ,corn and cedar groves that are a source of revenue to the town. The fertile Blida has a flourishing trade, chiefly in oranges and flour. Besides, the beautiful gardens of rose and jasmine around the city. The most well known village in Blida is Chrea .It is covered with villas and chalets that give a chance to visitors to discover the region where the skiers venture to climb, ski, camp and discover all sorts of flora.